Valtteri Bottas: Competitor, or Mercedes F1 "wingman"? He's been given the supporting role in the last two races and is now 81 points behind championship-leading team-mate Lewis Hamilton; but Valtteri Bottas does not see himself as demoted to "wingman" at Mercedes for this season. The Finn's resolute defence of second place gave race-leader Hamilton the perfect chance to use clear air to build a comfortable gap over his championship rival Sebastian Vettel - who was stuck behind the Mercedes - and win the Hungarian Grand Prix. 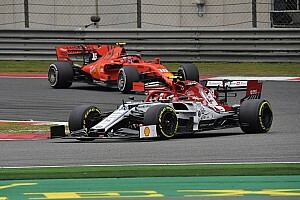 Having pitted early than planned to cover off the threat from Raikkonen, Bottas was put onto a one-stop strategy when Mercedes realised they had a chance of holding up Vettel. It worked, and Vettel - set back further by a pit stop error - emerged from the pit lane behind Bottas, who spent the rest of the race on a set of worn soft tyres, completing over 50 laps on the set. His tyres held up well for a long time and Vettel was unable to challenge until the final few laps of the race. With Bottas' awkward defence of second place damaging his Mercedes, he eventually fell to fifth place after another tangle with Red Bull's Daniel Ricciardo, and Mercedes boss Toto Wolff said after the race that he thought Bottas' "sensational wingman" performance deserved a podium. Wolff said to Sky Sports F1: "It feels a bit bittersweet, I don't know why, because Valtteri would have deserved a podium because he was such a sensational wingman." These comments didn't resonate too well with Bottas, who was clearly already annoyed at his own performance when speaking to reporters after the race. "First of all ‘wingman’ hurts," he said. "Second of all, I don't see any positives in this race for me. I wanted a better result. "We thought in theory we should have been able to do that one stop. We had to stop earlier than we wanted because of Kimi [Raikkonen], we had to cover him, and still 20 laps before the end everything was feeling okay. "We could control the pace and my position, but then the rear tyres started to die. I tried to defend the best I could, as aggressive as I could, but it ended up being a bit of a mess in the end with the broken front wing and everything." 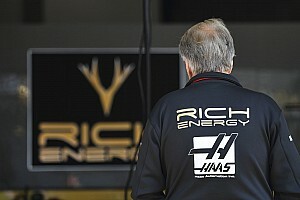 Bottas added that he wanted to speak to the Mercedes bosses about the "wingman" comments and suggested that he'd had no instructions about playing a supporting role to Hamilton. "I think we need to speak after this race," he said. "We are over halfway [through] the year and the points gap is big, but for sure the team will decide at some point." Bottas' annoyance at being referred to as a 'wingman' might well be justified. Just over a week after the news emerged of him signing a new one-year extension to his Mercedes contract, he has had to play a supporting role at the German and Hungarian Grands Prix. At last week's race in Hockenheim, Bottas - equipped with fresher tyres - was told to hold his second place position behind Hamilton in the final stages of the race, moments after challenging for the lead. This time in Budapest, despite having the measure of Hamilton in the dry this weekend, once both Mercedes were through lap one without losing a place, it became clear that Bottas' strategy was a reactive one, with Mercedes doing everything they can to prevent the faster Ferraris from gaining places. 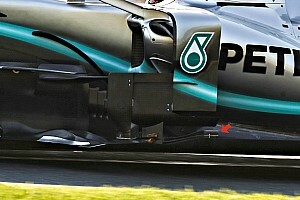 Bottas' sub-optimal strategy of pitting early (in response to Raikkonen) and completing over 50 laps on the soft tyres was purely to keep him as the 'cork in the bottle' for as long as possible on the track. Whilst Mercedes have maintained after Germany and Hungary that the two Mercedes drivers are "free to race", could the last two races have shaped Mercedes' tactics for the rest of the season? When asked about his comments later on, Wolff defended his remarks, but added that Mercedes are not yet backing one driver over the other in the championship, and that his "wingman" comment was specific to the race scenario, and not the drivers' championship. "That's exactly why things that are not being discussed directly face-to-face are being completely spun out of control in the wrong way," Wolff said. "In today's race, starting P2, after lap one, Valtteri's race was the perfect wingman race - and I don't mean it in championship terms, because we have no number one, we have no number two, but it was just how he was racing. "It was, from my standpoint, the best race so far with Mercedes in the last three [two] years." 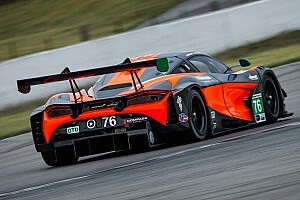 "The bittersweet feeling I have is that he would have deserved to finish P2 – where he has started and where he was after lap one. Bottas also looked to clear the air over the post-race comments, and took to social media to say that he understood the comments made and believed the same strategy would've been made with Hamilton. 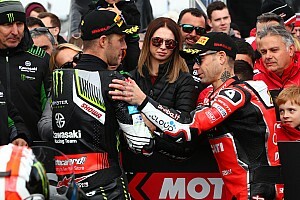 "I have not called a meeting with the bosses for Toto saying I was the perfect wing man in this race," read the statement. "There is no need to. I was disappointed with my end-result in the race and saw everything in a negative way for a moment. "I know what he meant. And he would have said the same about Lewis if he'd be in same situation and had a similar race. "We are on equal terms and I trust the team 100% on that. All good. We'll keep pushing! It'll come." Widely considered to have been one of the unluckiest drivers this season, Bottas is stilling awaiting his first win of the season. Despite challenging for races wins in Bahrain, China, Azerbaijan, Austria, Great Britain and Germany, his best finish remains second place, which he has achieved five times this season. 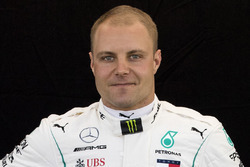 What role do you think Bottas has in the team for the remainder of this year? Leave your comments in the section below.